Fry concentrates his tellings around that concept. His gods are not Laurence Olivier swanning around in a toga with sparkly FX. 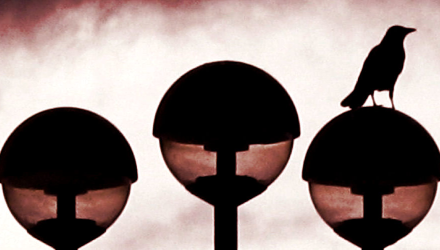 He talks of gods as unpredictable, yet all-too-knowable. They are jealous, envious, bear grudges far beyond the scope of any inter-generational feud. They will bend the heavens for their favourites, and cheat, lie, steal and exert brute force to get what they want. Fry draws parallels with powerful politicians of today, and brings a dry wit and humour, as well as his obvious love of words, without going so far as to analyse the stories. He is, as he says in the foreword, interested in the telling of the tales, not pulling them apart to see how they tick. Mythos doesn’t go as far as the Age of Heroes, but there’s plenty of material to cover before then. Despite previous reading on the subject, I learned some things. That’s always immensely satisfying — it’s why we read such books, after all. The one downside is that some of the editing errors are blatant, mostly footnotes comprising — verbatim — part of the sentence referencing them. It appeared someone decided certain parts of the text should be in footnotes rather than as asides within the main body, and vice versa, and then went through and copy-pasted but forgot to delete the original. The occasional typo I can forgive, we’re only human, but this happened often enough that I started to wonder if this edition was a draft that had accidentally made it to press. 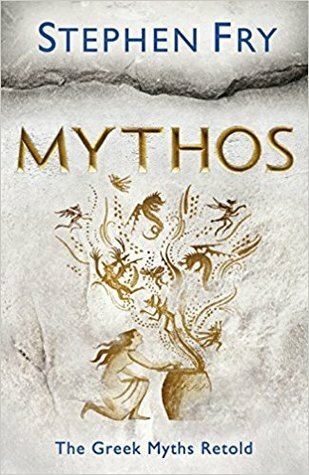 Editorial gaffes aside, if you want a modern version of the Greek myths interpreted for a modern audience, in a voice so clearly Fry’s one can practically hear him reading them aloud (if someone else ever does the Audible narration, it will just sound wrong), then Mythos is worth adding to your library. If you prefer a drier, more classical take, then you will have to look elsewhere, such as Bulfinch, or brave the eccentricity of Graves.